I'm trying to practice my drawing skill again today. 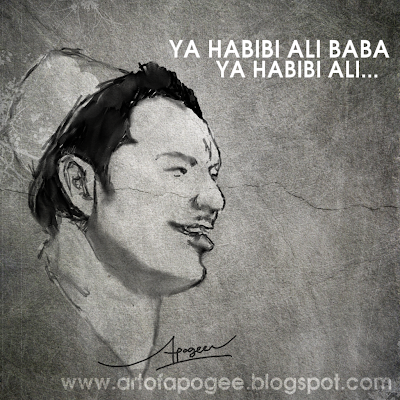 So, I clean up my old wacom tablet and do a quick sketch of P.Ramlee being the 40 Thief's Leader in Ali Baba Bujang Lapok movies. It is an old school movies. But still, it is more popular than the latest movies. I'm thinking about changing this blog layout too... maybe later.